The Designer Ribbons Collection incorporates high quality woven and jacquard ribbons. 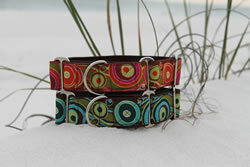 These ribbons contain many high fashion colors, designs, and textures from Europe and Asia. 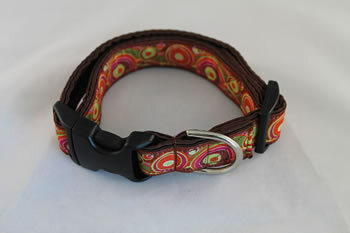 This collection contains many fashion-forward colors and designs. Each collar is constructed with nylon webbing wrapped in a soft, coordinating satin lining. 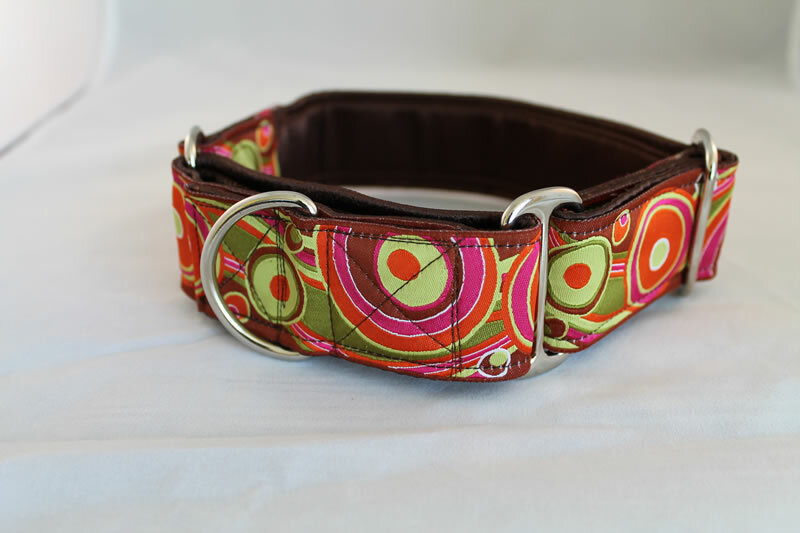 The ribbon is sewn on top, insuring a comfortable fit for your dog. Leashes are available in matching ribbons or coordinating velvets to match your collars. 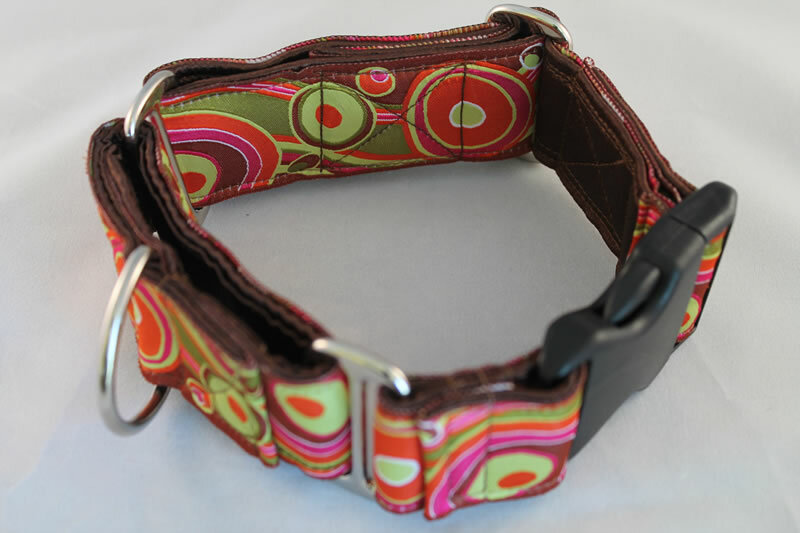 Quality is our essential to our products. High tensile strength webbing, welded nickel-plated hardware, top notch Nexus buckles, and size appropriate snap hooks produce a quality, durable product. 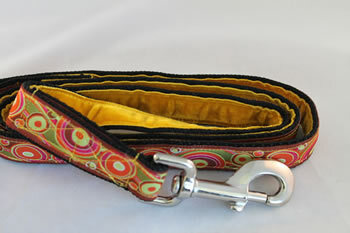 Leashes are available in matching ribbons or coordinating velvets to match your collars.